If you use a Mac, then you well know by now that keyboard shortcuts are an essential component to mastering OS X. Nowhere is this more true than Safari, where keyboard shortcuts make quick work of many routine web browsing tasks. 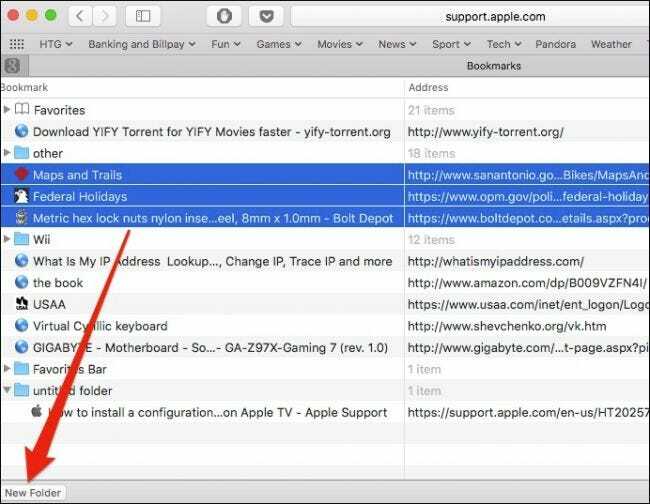 Safari actually has quite a few keyboard shortcuts that you may know about, as well as quita a few you may not know about. Today we want to talk about some of our favorites. When you’re on a website and you don’t want to use your mouse or trackpad, the keyboard offers a number of shortcuts. Use the arrow keys to scroll up, down, left, and right. If you’re scrolling through a long webpage, you can press Option+Up/Down Arrow to scroll more quickly. To scroll down a screen use the Page Down key or the Spacebar. To scroll up, simply use Page Up or Shift+Spacebar. To scroll all the way down to the bottom-left corner of a page (as in all the way to the end), press Command+Down Arrow. To go up to the top-left corner? Use Command+Up Arrow. Tab highlights the next field. Option+Tab highlights the same thing as well as all other clickable items. 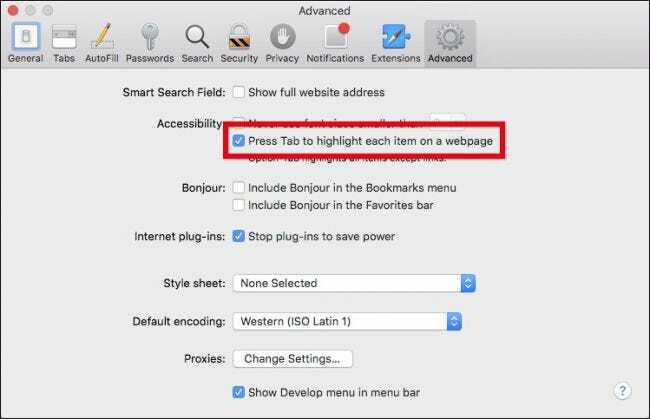 You can swap the behavior of those last two shortcuts by clicking “Press Tab to highlight each item on a webpage” in the Advanced tab of the Safari preferences. Opening pages in new tabs is a great way to make sure you don’t miss anything. Just open everything you want to read (eventually) and go at it. To open a new tab, press Command+T. To move from tab to tab (assuming you have several open) use Command+Shift+Left/Right Arrow. To close the current tab use Command+W. To reopen it, use Command+Z. There are a couple of ways to affect multiple tabs as well. To close all open tabs except one, hold the Option button and click the close button (X) on the tab you want to leave open or use Command+Option+W. To open all the tabs in a folder in your Favorites, hold the Command key and click the folder. To open an item in a new tab, you could right-click and select “Open in a new tab” from the resulting context menu. You can eliminate a step by holding the Command key and clicking a link, bookmark, or hiting the Return key from the Smart Search field. In the previous examples, if you use those keyboard shortcuts to open tabs, they’ll open in the background. To open a page in a new tab and bring it to the front for the same items (link, bookmark, Smart Search), prepend those shortcuts by adding the Shift key. For example, Shift+Command+Click. Lastly, if you have more than one tab open, then you can use the keyboard to navigate through them. Use Control+Tab or Command+] to bring the next tab to the front. Use Shift+Control+Tab or Shift+Command+[ to bring the previous tab to the front. If you have up to nine tabs open, you can use Command+1 through 9 to select the desired tab. You’ll be a tab master in no time. Let’s move on to the Reading List and your Bookmarks. The Reading List lets you save offline copies of webpages for later reading where you might not have reliable Internet access, such as on a plane or in rural areas. Bookmarks are a big part of any web browser. While we don’t necessarily bookmark every page we come across, or even as many as we used to, we still have favorites we visit daily or regularly, so keyboard shortcuts can come in handy. To add the current page to your reading list, use Shift+Command+D. To add a linked page, Shift+Click the link. To remove a page, swipe left on the item and click remove, or use right-click and select “Remove Item” from the context menu list. To bookmark a site, use Command+D. The Favorites bar is that row of bookmarks that runs along the top. To quickly show or hide that bar, use Command+Shift+B. To select a bookmark or folder in the sidebar, you can hold the Command key and click each bookmark and folder. To select a range of bookmarks or folders, use the Shift key. To select the next bookmark or folder in the sidebar, use the Arrow keys, to open a selected bookmark, use the Spacebar. To open a selected folder, use the Spacebar or Right Arrow. To close it, use the Spacebar or Left Arrow. If you want to open a selected folder and its subfolders in the Sidebar, use Option+Right Arrow. To close a folder, use Option+Left Arrow. If you’re attending to your bookmarks in the editing window, then there are a few useful shortcuts which will get you away from the mouse or trackpad. To change the name or address of a bookmark, select that bookmark and then press the Return key. To stop or cancel editing a bookmark in the sidebar, press Esc and to finish editing, press Return. To create a folder containing a group of selected bookmarks and/or folders in the bookmarks view, make your selections and hold the Option key, then click the “New Folder” button. To delete a bookmark, simply select the bookmark (or bookmarks) and tap the Delete button. To open a new Safari window, use Command+N. To open a new Safari Private window, use Command+Shift+N. You’ll often hear us refer to the Sidebar throughout this article. To quickly show or hide said Sidebar, use Command+Shift+L. Want to download a linked file? Hold the Option key and click on the link. To close the Smart Search field, reader, or to exit full-screen view, use the Esc key. Finally, to go to your home page, use Command+Home. In addition, here’s a nice trick: If you browse through a number of pages in a tab, you can click and hold the back or forward button to see a list of where you’ve been. If you hold the Option key however, you can see the full URL. As you might have guessed, we’re really big on OS X keyboard shortcuts, but Macs have always emphasized using them in lieu of mousing. While there are some cases where you simply cannot get away from using the mouse, being able to effectively use the keyboard at other times can make short work of many repetitive tasks. Safari is no different, so the next time you’re surfing, be sure to try some of these out and see if they don’t make your life just a little easier.